Noir Arts & Oddities is a creepy but cool boutique filled with curiosities of all sorts. Our aesthetic is an eclectic blend of moody Victorian charm and macabre curiosity with a modern twist. Our parlor is a curated yet comfortable space; filled with truly unusual antiques, oddities, home décor, vintage and local art. We scour the globe to bring in new treasures each week that will spark curiosity, learning and conversation around the odd and unusual sides of history, science and art. Noir specializes in memento mori / mourning antiques, funerary antiques, taxidermy, medical antiques, natural science specimens, scientific antiques, and incredible art from local and national artists. Pam Smith is the owner and curator of Noir Arts and Oddities, an art, antique, oddities, and lifestyle boutique in Kansas City, MO. 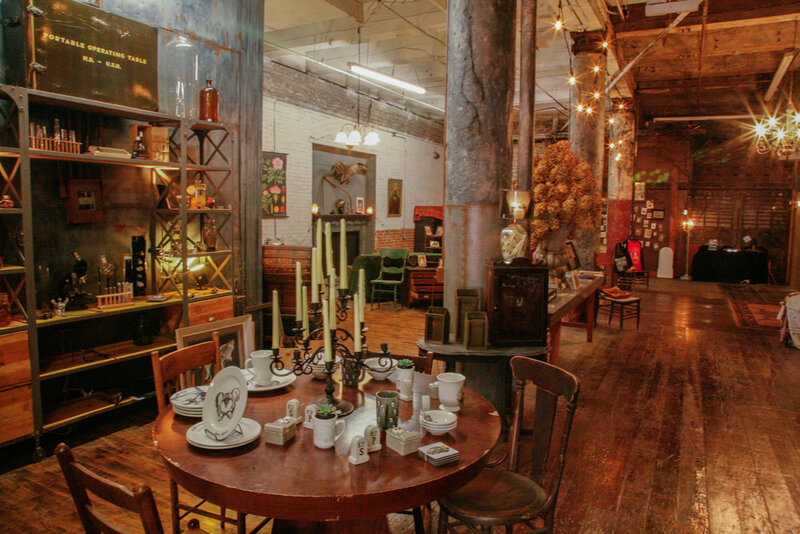 Noir specializes in the wonderfully weird and creepy side of antiques as well as dark and unusual art. From quack medical devices, hair art, and coffins, you can likely find it in our parlor. Noir is a passion project that took Pam out of her boring corporate career in IT and into a fantastical world of wonder a little over 4 years ago. She's never looked back. Pam has always had a passion for history and science. She longed for a life where she could learn about what interested her, not what someone thought she should be taught. At an early age, Pam had a fascination with the darker parts of our world and her collecting habits were a reflection of that. She started collecting old photos and happened to acquire a post-mortem of a girl named Lizzy. At the time she didn't know that Lizzy was no longer living; she believed she was just sleeping (like Sleeping Beauty). Upon her realization that Lizzy was indeed dead, she plunged herself into the never-ending rabbit hole of the obscure history that was hiding just beyond the veil of our normal world. 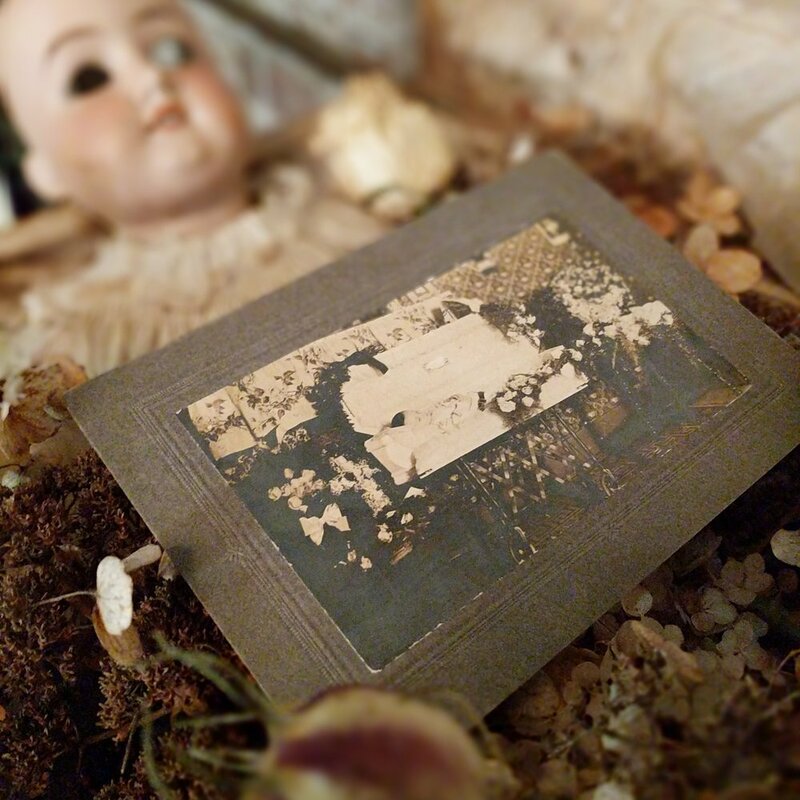 Ever since, Pam has scoured antique stores, flea markets, and auctions looking for the macabre and unusual artifacts of our not so distant past. Pam created Noir to embody her thirst for knowledge. Along with her son, Zane, and the amazing Noir staff, they take great pleasure in rescuing odd artifacts and sharing their stories with their customers. They like to think of Noir as a walk-in Cabinet of Curiosities where you can explore and learn but the best part is that you can purchase a piece of history to start your own obsession.